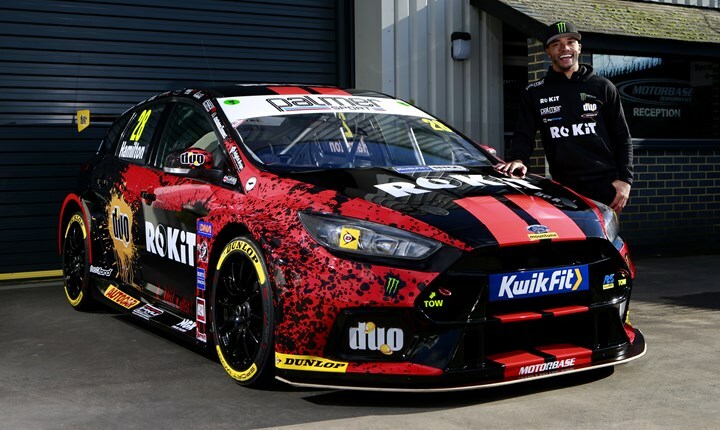 Nicolas Hamilton will re-join the Kwik Fit British Touring Car Championship (BTCC) in 2019 for his first full season in the series, at the wheel of a ROKiT-sponsored Motorbase Performance Ford Focus RS. Hamilton returns to the BTCC after previously contesting 12 rounds of the UK's premier car racing championship in 2015. This year, however, the brother of five-time F1 World Champion Lewis Hamilton is chomping at the bit to contest the full 30-race calendar, which includes five race events at MSV circuits. Hamilton, who has cerebral palsy, will race a specially modified Focus RS. His car will be shaken down in mid-February, before he heads to Spain with Motorbase for an intensive pre-season testing programme. The 26-year-old will make his first on-track appearance in an official BTCC session at Brands Hatch during the championship's pre-season launch test at Brands Hatch on Wednesday 27 March, before lining up on the grid for the opening round of the championship at the same venue on 6-7 April for three races on the Indy circuit. Fans can also see Hamilton in action at Donington Park on 27-28 April, Oulton Park on 29-30 June, Snetterton on 3-4 August, and then again at Brands Hatch for the Grand Prix circuit season finale on 12-13 October. Hamilton said: "I cannot actually believe that I will be back on the BTCC grid this year. I have been in and out of different series since I started racing due to a lack of funding and general support. A lot of people assume that due to my name, I will have all of the funding in the world, but this could not be any further from the truth. I have been on my own for the past six years, grinding away, trying to get a full season under my belt with all of the support I need. "I have not had a continuous career in motorsport that allows me to work on my foundation. I have just been testing at the races, doing a decent job due to my funding level and experience, but getting judged on who I am related to. "I am very proud that I finally get this chance to have a full crack at motorsport and to be doing it in the BTCC, driving for a competitive outfit such as Motorbase Performance, is unbelievable. It gives me great pride in knowing that, when I sit in my car this year, I did it all off my own back and I can't wait to get started. "I am still very inexperienced and am just going to take it all in my stride, do as best as I can, drive like I know I can, develop my craft and see where that takes me." Hamilton joins a three-strong line-up at Motorbase for 2019 alongside Tom Chilton and Ollie Jackson. Motorbase Performance Team Principal David Bartrum added: "I'm looking forward to Nic joining us in the BTCC. He brings a different type of journey for us to go on with him. He also brings with him a steely determination, a willingness to learn and a craving to succeed. From what I've seen of Nic so far, his approach is very professional and I would defy anyone to spend five minutes in his company not to be inspired by him." Hamilton's 2019 machine will carry branding from MSV's world-famous driving event, PalmerSport, which will sponsor his full campaign. MSV and PalmerSport CEO Jonathan Palmer said: "Nic impressed me greatly over the winter with his determination to race in BTCC and most professional approach. He has worked tirelessly to get his deal together and as a past PalmerSport event instructor, MSV is pleased to be joining his team of sponsors. Clearly Nic has some big challenges ahead but I've no doubt he will be great ambassador to inspire many with his efforts."